AVC (Advanced Video Coding) is a standard for video compression. The final drafting work on the first version of the standard was completed in May 2003. AVC is a block-oriented motion-compensation-based codec standard developed by the ITU-T Video Coding Experts Group (VCEG) together with the ISO/IEC Moving Picture Experts Group (MPEG). It was the product of a partnership effort known as the Joint Video Team (JVT). The ITU-T H.264 standard and the ISO/IEC MPEG-4 AVC standard (formally, ISO/IEC 14496-10 - MPEG-4 Part 10, Advanced Video Coding) are jointly maintained so that they have identical technical content. H.264 is used in such applications as players for Blu-ray Discs, videos from YouTube and the iTunes Store, web software such as the Adobe Flash Player and Microsoft Silverlight, broadcast services for DVB and SBTVD, direct-broadcast satellite television services, cable television services, and real-time videoconferencing. MPEG-4 Part 10 defines video encoding that's equally useful for low resolution/bitrate players like mobile phones and media players, medium resolutions and bitrates comparable to Standard Definition (SD) DVD, to high definition movie encoding for HDTV, Blu-ray, and HD DVD. Like MPEG-2 and MPEG-4 Part 2 video, AVC is divided into a number of profiles, primarily to define what features a particular device or class of devices supports. Some of the more advanced features require a fair amount of CPU power, and therefore aren't suitable for devices like 3G phones or many portable media players. Other features, like higher resolutions and bitrates, aren't even helpful for many devices. 1.AVC has bigger compress ratio than MPEG-4 on same video quality. 2.Encoding AVC is longer than Encoding MPEG-4 on same video source..
3.Playing AVC need more CPU power than MPEG-4 playback. 4.AVC has a more complex encoding algorithm. 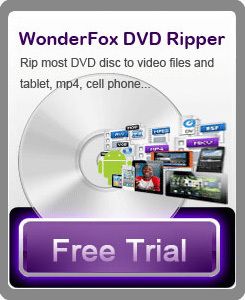 HD Video Converter Factory Pro; it is the professional conversion software for video converting. The software serves its users to convert the popular videos with fast converting speed and high image quality. But it is easy to control. It's worth trying.